Daniel tells us that only God is the only one who could decipher the present and the future, no magician, sorcerer, astrologer or prophet is above him. In the Kehila Elohei Kedem in Caracas, Venezuela, Rabbi Yosef Ben Marques, leads with great success a congregation of Jews Nezarim where you really learn the word of YHWH. This gift is not achieved easely but with dedication, fidelity and sacrifice. 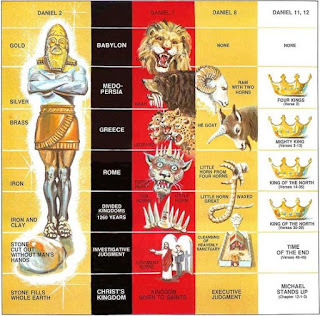 The Book of Daniel shows us in addition to a whole historical process about the old and the New Testament, the political and cultural changes affecting the Jewish people because of the Egyptian and Syrian sovereigns with looting and false worships, even many Priests and young Jews were convinced by the Greco-Roman culture to leave the Christian faith and worship the vices and the money more than to Elohim their authentic and universal Hebrew God. They also turned away from the culture of their ancestors and patriarchs because it seemed old-fashioned. 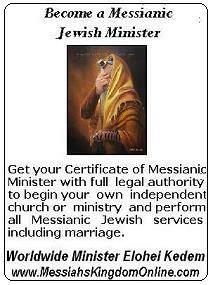 Then arise a group of Jews among them Daniel, Ananias, Misael and Azariah, who decide to emigrate spiritually and stand firm before the laws of God, consecrated to prayer, fearing Elohim, His word and his earthly decisions, while others deviate from the laws of God and only aspire another type of world full of lies and confusions, Santeria, vices, lust, selfishness and wickedness. 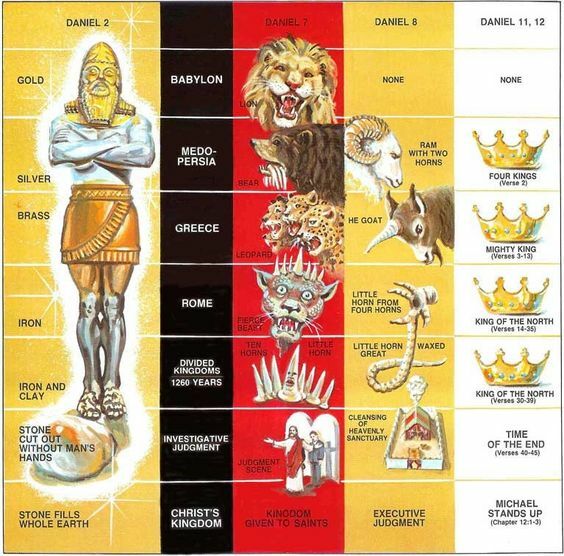 Daniel is one of the prophets chosen by Elohim to whom he grants him the gift of wisdom and intelligence, and he shows us with the right illustration in his book Why God is one and only, outside of him there is no other. Daniel is brought before the king of Babylon Nabucondonosor who had a dream and longed to decipher it because it disturbed him. The King summoned magicians, sorcerers, soothsayers and astrologers without making them decipher the dream. By verifying that the wise men and Soothsayers did not give him answers the king ordered to execute them including Daniel for being also wise and intelligent. 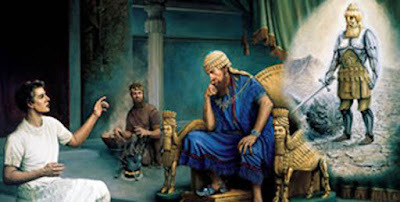 Daniel before dying in the hands of the executioners of King Nabocondunosor said to him "I will give you the explanation of your dream give me just a few hours ". He turned away and implored the one we should always implore, to the mercy of Elohim to clarify the mystery of the dream of King Nabocondunosor. Elohim heard Daniel who knew only God would save his life by revealing such a mystery to him. Daniel thanked God on his knees and said these words: "Blessed be Elohim for ever and ever, only wisdom and strength belong to him." He owns the times and moments and ages, places the rulers and kings as well as dethrones them, gives wisdom to the wise as well as intelligence and reveals the mysteries and secrets teaching what is hidden and showing us that where He is , everything is light and beauty. o Elohim of my parents, I praise you and thank you for revealing what we ask! " The subject described in this work simply means that Elohim is the only sage and the only one who has the power to decipher the mysteries and secrets in this life. Daniel is let as well a vehicle of God as Moshe, as Abraham, as Joshua, Job, Isaiah Jeremiah, to be understood that being faithful to His rules and His sacred laws, with faith and perseverance we can come to Him humbly and surely grant us favours. wHO, will protect us, make us invisible to the danger, will not allow our enemies to hurt us and give us many gifts that in this life other human beings do not get to not be on the path of Elohim and his sacred and saving word that is the Torah.